Porcelain Veneers Redwood City. If you are concerned about the appearance of your smile, porcelain veneers are a great solution. If you are concerned about the appearance of your smile, porcelain veneers are a great way to take care of several issues at once without spending a lot of time in the dentist’s chair. Redwood City Family Dentist Dr. Robert Savage has helped many Redwood City men and women improve their smiles with this easy, natural-looking cosmetic dentistry solution. Not only are veneers an attractive smile makeover treatment, the process can be enjoyable and fun with our friendly, experienced dentists and team members who put your comfort first. 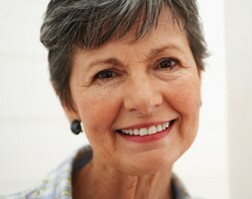 Veneers are very fine shells that fit over the front surfaces of teeth. They are crafted from a safe porcelain dental material that looks and feels like your natural enamel. Our dentist designs the perfect shape for your smile, and then bonds these wafer-thin shells to each tooth. Once the bonding process is complete, you can use your veneered teeth to eat anything you want, and they are highly stain-resistant, too. The procedure that was once nicknamed the “Hollywood smile” is now easily accessible in just a few visits to our state-of-the-art dental practice. If you live in Redwood City or surrounding area, we invite you to come in for a Porcelain Veneers Consultation. It will not cost you anything to talk to one of our talented smile makeover professionals about your options and to view veneer before and after photos Once Dr. Robert Savage has had a chance to hear your goals and evaluate your dental health, we can make a personalized recommendation as to which procedure or procedures will give you the best results. Now is a great time to explore your options for a better smile. Please contact the experienced and creative smile makeover dentists at Robert Savage Dental Care for your personal cosmetic dentistry evaluation. Our consultations are free of charge, and we have several payment options available for you.